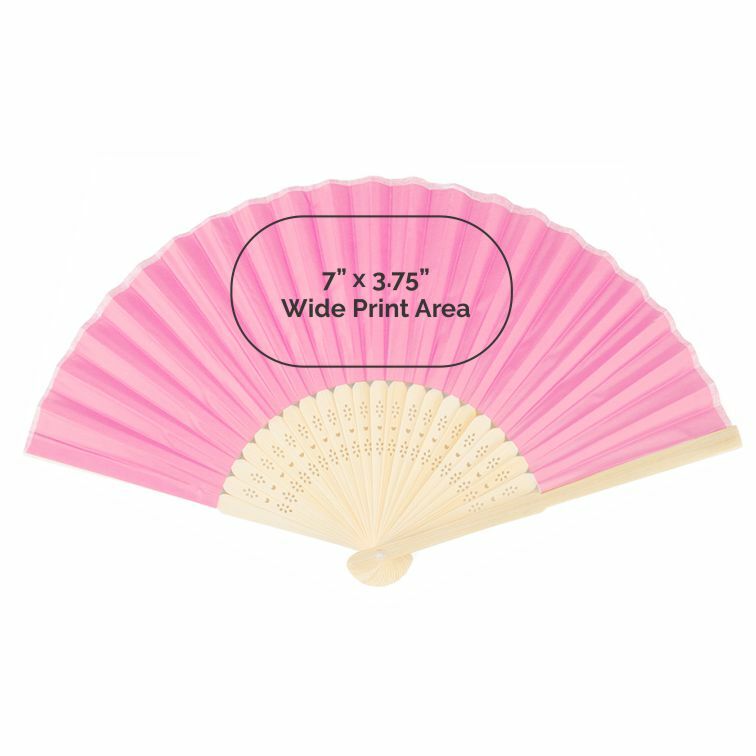 Personalized Silk Folding Fan accordion style fan is customized with your logo or message for promotions, weddings or special events. Print Area is 7" x 3.75"
Pricing includes a one color spot print on front center of fan. Add printing on the handle for an additional $0.65 per fan.